High-quality research and teaching requires investment in good research infrastructures. The FINMARI consortium was founded in 2013 and since then, with its support, we have been able to modernize and improve our research infrastructure. Good research equipment help researchers and students across disciplines to study various interesting and important questions, related for example to the climate change. Here we introduce some of the equipment we have recently acquired. 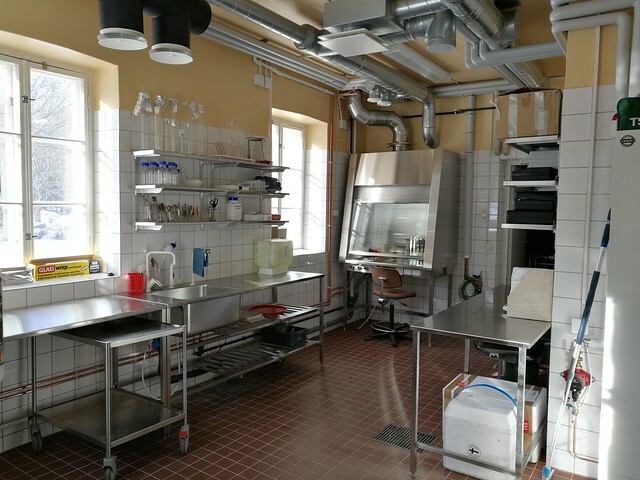 Last week, we visited Tvärminne, the Zoological Station of the University of Helsinki and attended in the FINMARI Researcher Days. 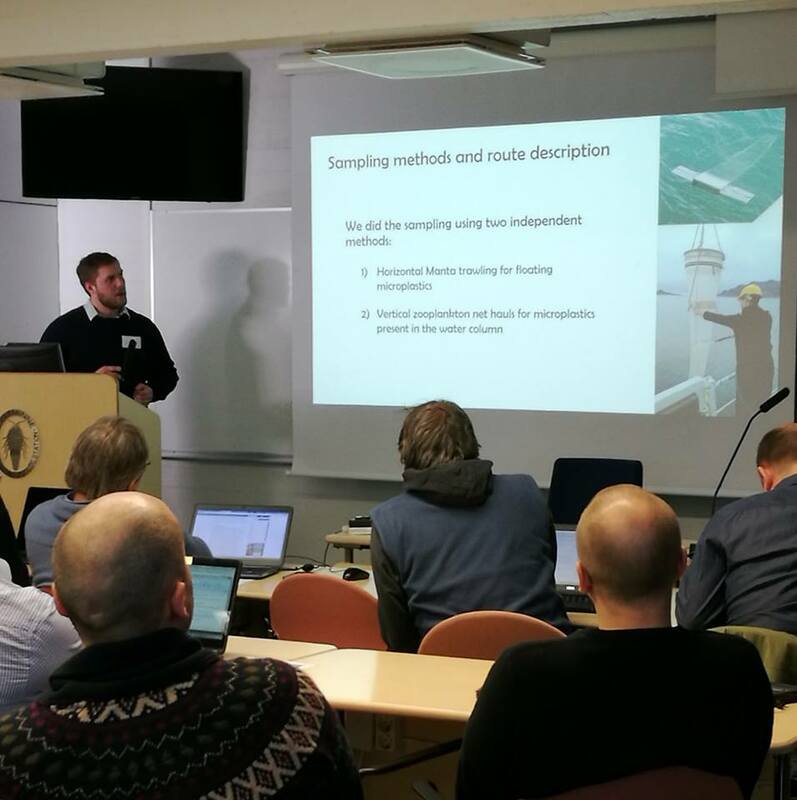 During the two-day meeting, we presented our latest work as well as heard many interesting presentations from other FINMARI partner organizations. In the photo, our master’s student Markus Weckström is giving a presentation on his master’s thesis. Photo: Jari Hänninen.  Finnish Marine Research Infrastructure (FINMARI) is a cross-institutional consortium founded in 2013 and coordinated by the Marine Research Centre of SYKE. The consortium assembles research institutes, universities and a state-owned company, all with a strong interest in marine research. The distributed infrastructure network includes field stations, research vessels an multi-purpose icebreakers, laboratory facilities, ferryboxes, fixed measurement platforms and buoys. 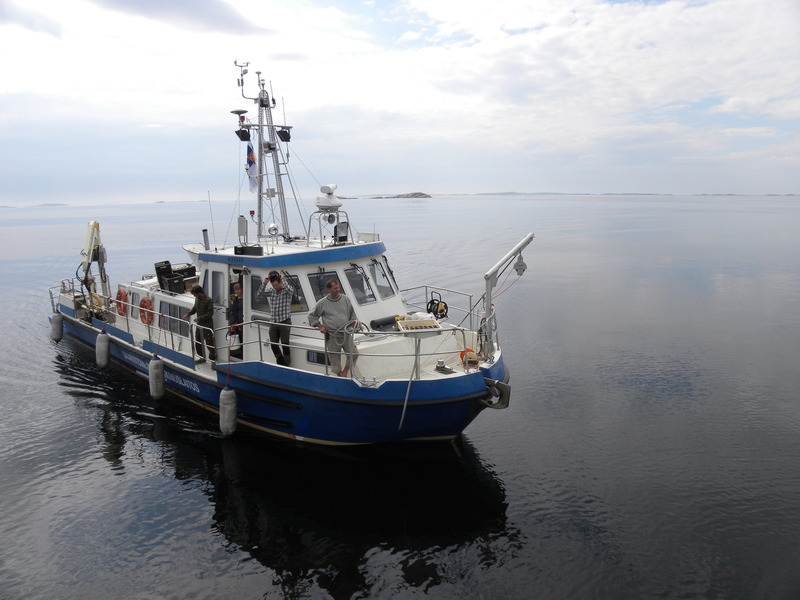 Our research vessel r/v Aurelia is a part of the FINMARI infrastructure network.The 18,1 m long vessel hosts small wet and dry labs and is equipped with standard hydrographic and marine biological research and sampling equipment (incl. CTD, sediment corers and grabs, An acoustic Doppler current profiler (ADCP), on-line chlorophyll fluorometer, Meridata digital sonar system and other sonars), weather station, differential GPS, Navi Fisher navigating system. R/v Aurelia operates in the Archipelago Sea. 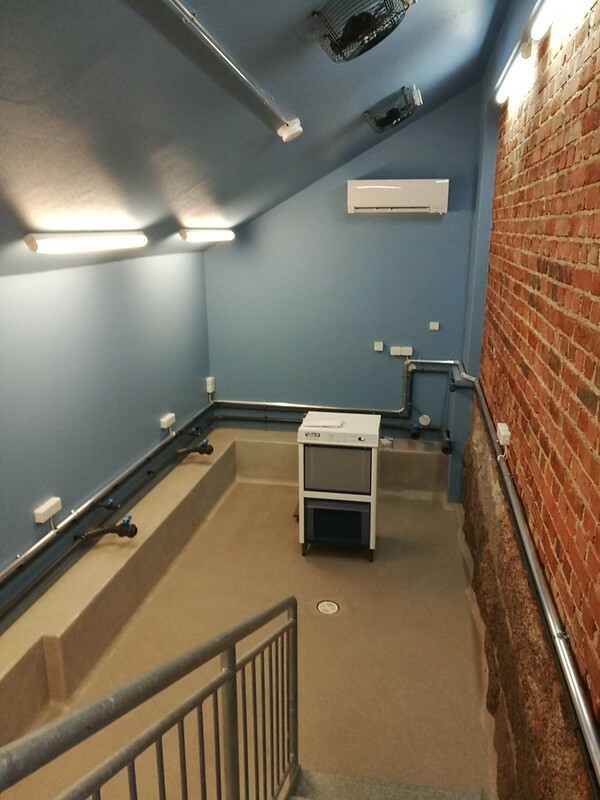 The latest major additions to our research infrastructure have been a Hydro-Bios Multinet Mini and a Manta trawl. The Multinet allows the collection of 5 parallel horizontal or vertical zooplankton samples (mesh size 100 um) and thereby essentially increases sampling efficiency by allowing the collection of more samples in less time. 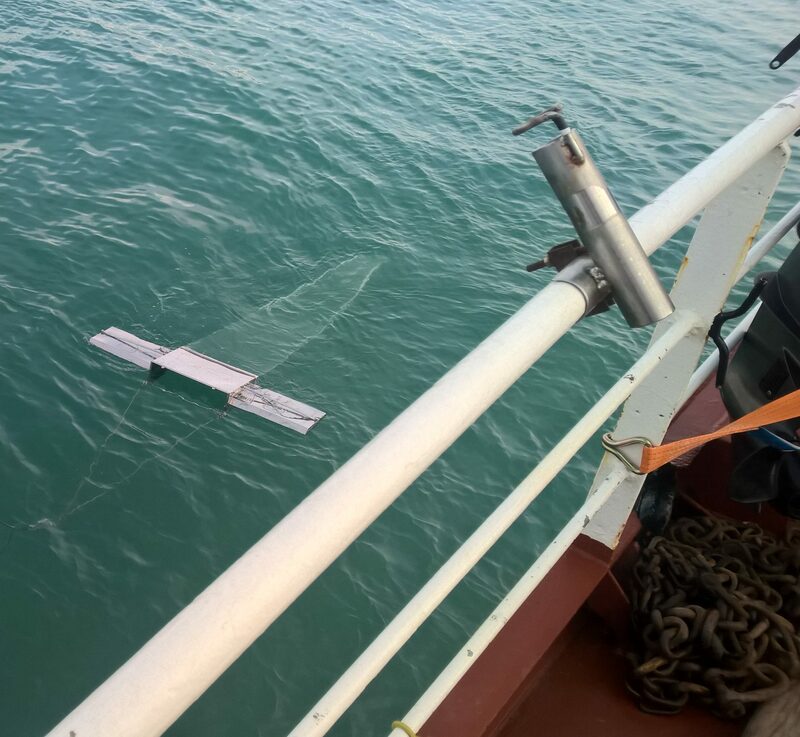 The Manta-trawl is a horizontal net system (mesh size 335 um), which allows researchers to collect microplastics and plankton from the surface waters. The multiple plankton sampler on board of r/v Aurelia. 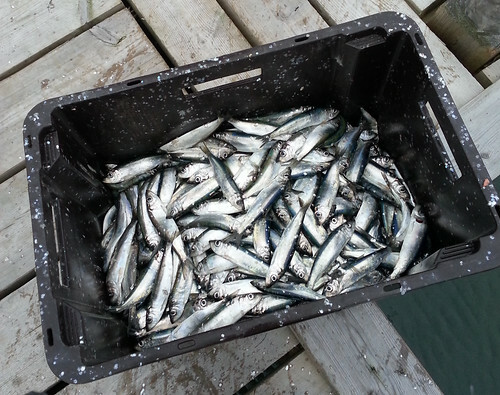 Sampling microplastics in the Arctic with the manta trawl. Did you know that the net was named after the Manta ray due to their similar shape? 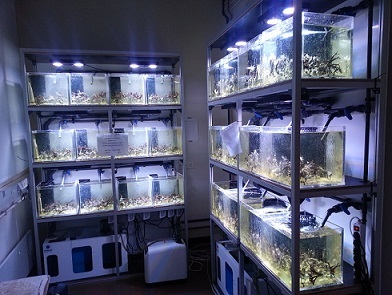 In 2015, we acquired 10 aquaria racks. Each rack includes 12 aquaria with a closed water circulation to a flow-through system. Recently the aquaria have been used to study how the projected future salinity conditions of the Baltic Sea will affect the genetics of bladderwrack (Fucus vesiculosus). 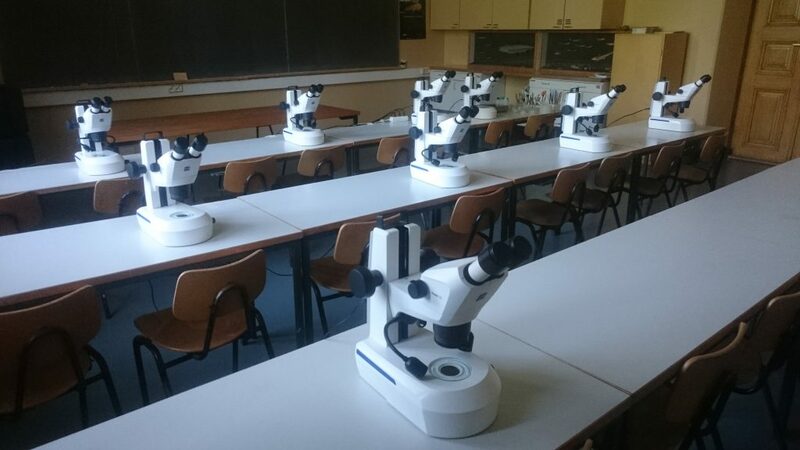 University and school courses visiting Seili have been able to use new improved stereo microscopes since 2016. In spring 2018, we will also receive a side scan sonar system for shallow water, with which we’ll be able to study for example the bottom morphology of fish spawning grounds. The equipment can also open new research possibilities for example in marine archaeology. Researchers interested in working abroad may apply for funding at Assembleplus.eu. Assemble plus provides transnational access to marine biological research facilities and resources. At Seili, we offer a wide variety of services, including access to a brackish-water coastal ecosystem, state-of-the-art experimental facilities, historical observation data, and various research support services. Contact us for more information or stay tuned for new funding calls! 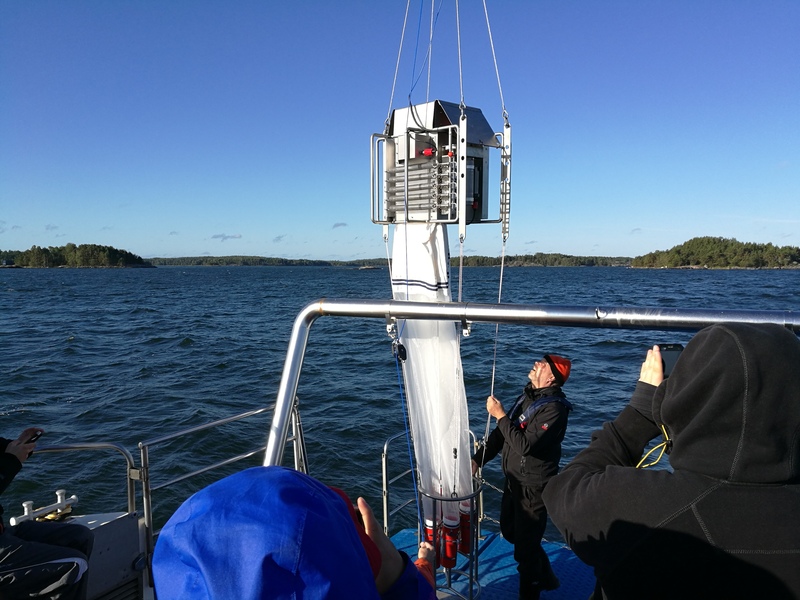 Last Wednesday morning, a few of us headed towards the University of Helsinki’s Lammi biological station, where we were to attend in the BIOPEDA -project’s second seminar, funded by the Kone foundation. 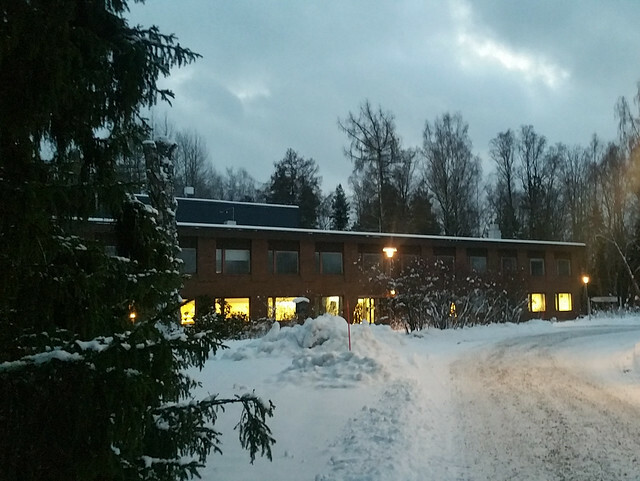 In the first 3-day seminar, organized in March in the Konnevesi research station (University of Jyväskylä), teachers from every Finnish university came together to discuss the current state and future of biological field courses. 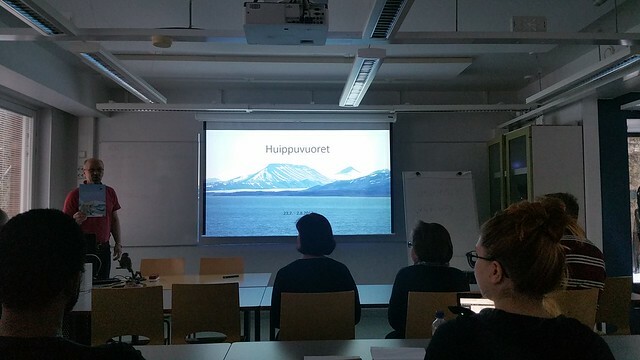 Outcomes of this seminar were a webpage maasto-opetus.fi and a publication, published in the Journal of University Pedagogy (in Finnish). The aim of this 2-day seminar was to further develop the webpage, aimed at benefiting both university teachers and students, and to plan future events. 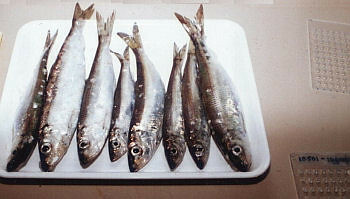 Field courses are a central part of biological and other nature-related studies. Despite of their relevance, field courses and, also, field stations have been under budget-cuts. 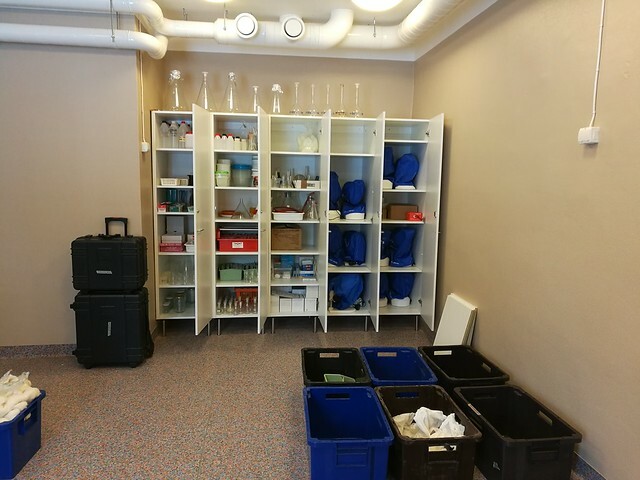 The aim of the BIOPEDA project is to improve cooperation between teachers and sharing of teaching resources within the Finnish university research network. This will aid both to reduce costs and improve the diversity and quality of courses offered to students, thus increasing the expertise and know-how available in Finland. 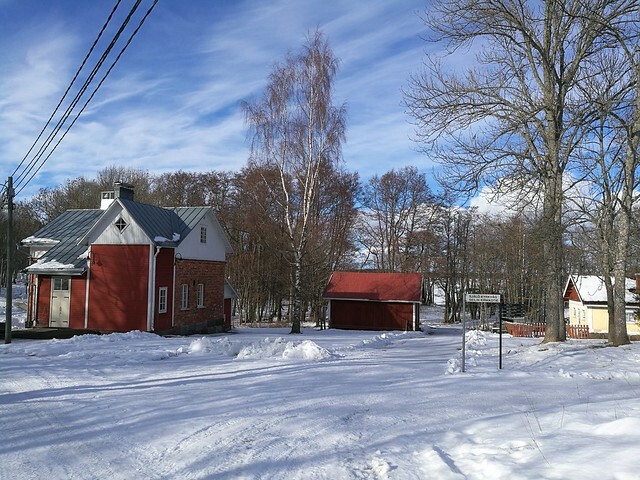 The snowy landscape of the Lammi biological station. Between planning, we also had time to listen and watch a presentation about a Svalbard trip. Maasto-opetus.fi, the university fieldwork website provides fieldwork related resources to teachers and students. We will take a small break from posting new content and are unplugging to enjoy the holidays. We will be back with new content again in the beginning of next year! 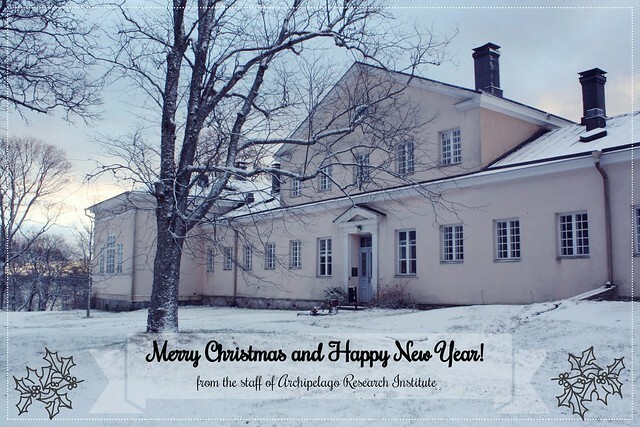 We wish everyone a merry Christmas and a happy new year!